Bollywood Fearsome 4 Feet Appeal to the alter-ego of your four-year-old. They inspire creative play and just plain fun. 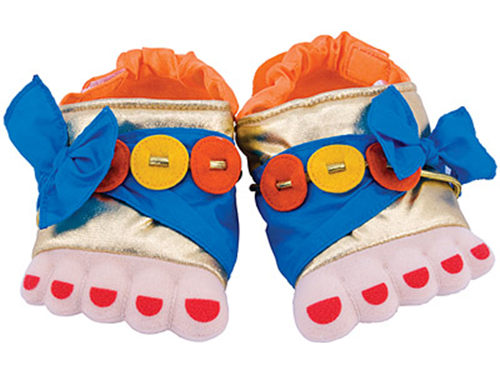 Children’s size 11 (Euro 28) and will fit most kids from 4-5 with adjustable Velcro™ strap in back.